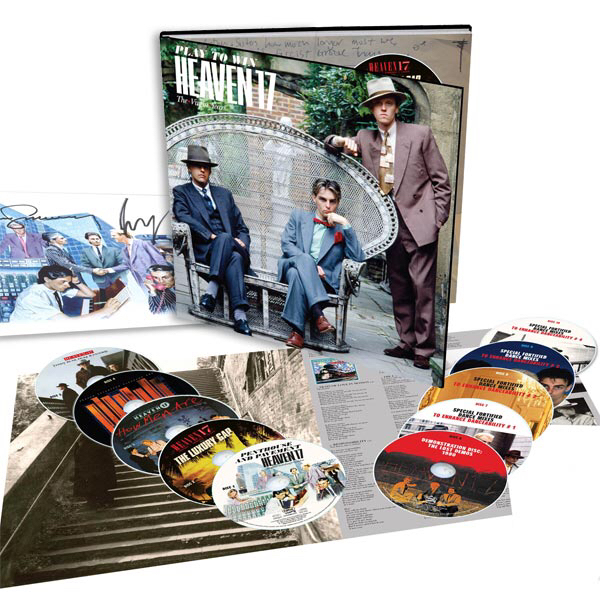 Synthpop legends Heaven 17‘s Virgin Records recordings are brought together in Play To Win: The Virgin Years, a large format 10CD deluxe set which features all five albums issued in the 1980s, along with over 100 bonus tracks, including demos, B-sides, non-album singles and remixes. It will also be released as a 5LP coloured vinyl box set called Play To Win: The Virgin Albums. The albums in this new deluxe set are Penthouse and Pavement (1981), The Luxury Gap (1983), How Men Are (1984), Pleasure One (1986) and Teddy Bear, Duke & Psycho (1988). Every album has A-sides and B-sides appended and then there’s a whole disc of demos and four further CDs of remixes! This 10CD box is a large format (12″ x 12″) book style package which includes a 36-page booklet with lyrics, credits, photos and ephemera from the band’s collections, and brand new annotation, based on new interviews with the band. 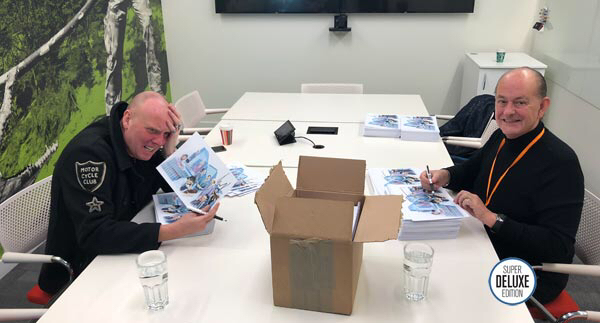 An exclusive edition of the 10CD Play to Win set available only from Amazon UK will feature a print of the Penthouse and Pavement cover art SIGNED by Glenn Gregory and Martyn Ware (Ian Craig Marsh left the band just over a decade ago). 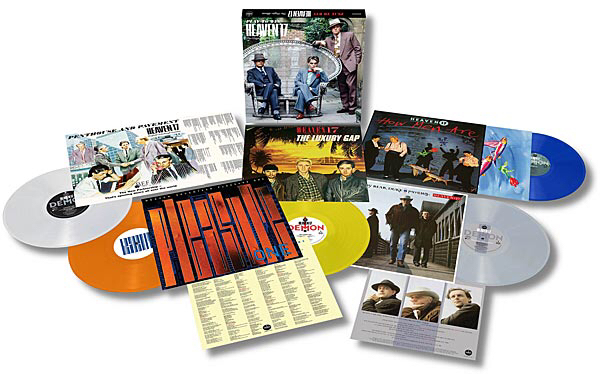 Play To Win will also be available as a special five-LP 180g coloured vinyl box, featuring the original albums. Both the CD and vinyl variants of Play To Win will be released on 29 March 2019 via Edsel and Demon Records respectively. "SPECIAL FORTIFIED DANCE MIXES TO ENHANCE DANCEABILITY"
Is this marketed to the supplement-taking crowd? If so, it should come with promotional Martyn, Ian, and Glenn-shaped vitamins. Anyhow, this is just one more thing I can't afford. I can hear "I'm Your Money" playing in my head just thinking about placing the pre-order. We've got the brains. We've got the looks. Let's make lots of money (for the Heaven 17 purchase! ).